Extra hearts for your plaque. Please enter name and if you need heart or star. 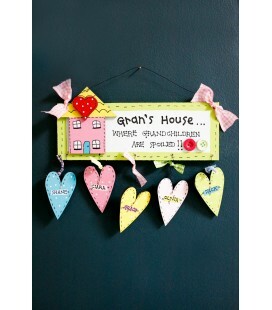 A family tree wooden plaque. 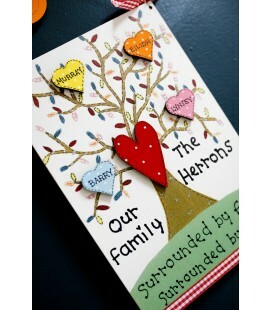 Personalised with family members names. 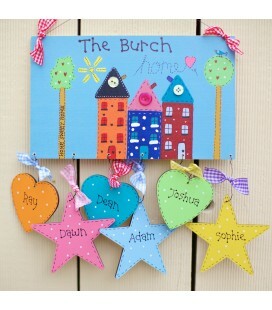 Little colorful wooden hearts with handwritten names. Includes family name. Hung with fine wire and finshed with gingham ribbon. Glitter detail. 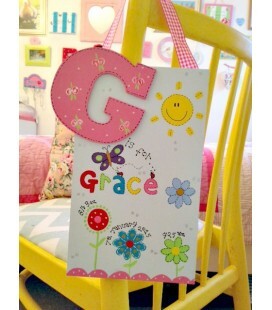 This is a really colorful hand painted plaque. 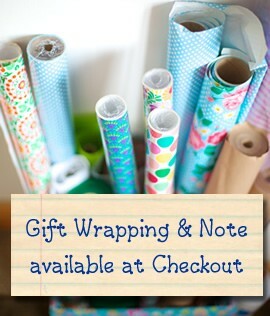 Perfect gift for a little girl. 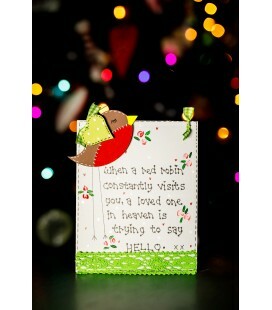 These are perfect for hanging on the christmas tree or can be used as gift tags. This is a lovely bright plaque. Painted red border with hand painted holly. 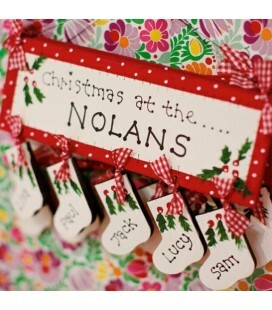 "Christmas at the.." Can be personalised with family name. Max names on this plaque 6. Hung with fine black wire finished with red gingham ribbon. 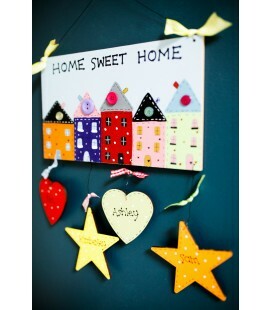 Personalised family Home sign. Family name included. This is a large plaque. Perfect gift for a little boy. All hand painted. A beautiful keepsake for a communion. This is a paper mache frame. 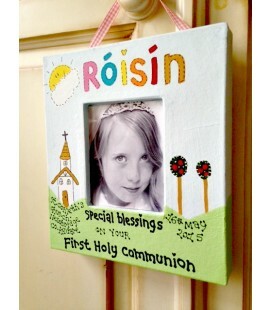 Personalised with child's name and communion details. Hung with gingham ribbon. Picture frame to hold a photo size 5" x 7". Actual frame is 10" x 12" (approx). Perfect gift for a communion. This is a very colorful plaque. 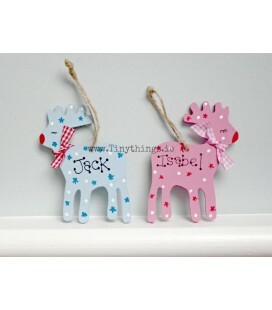 Personalised with child's name on a painted wooden star. Three smalll pegs. 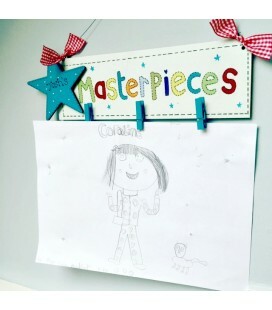 Beautiful way to display a child's artwork. Drawings can be hung onto the pegs. My name is Joanne Mooney. I studied fine art in New Jersey, U.S.A. 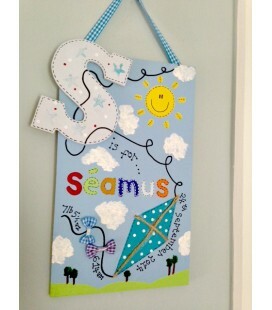 I love painting and creating and get great satisfaction from painting pictures for children. I am so happy to have the opportunity I have been given to create and share my love for art with others. I work from my home in North County Dublin, Ireland. Copyright © TinyThings.ie. All Rights Reserved.